The best colored pencils for adult coloring books have vibrant color, blend well, and last long. The quality of coloring book paper matters, but using high-quality art supplies helps completes the path to the most successful finished art. Entering the world of adult coloring requires a set of coloring pencils, pens, markers and/or paints; here we will discuss the best colored pencils. 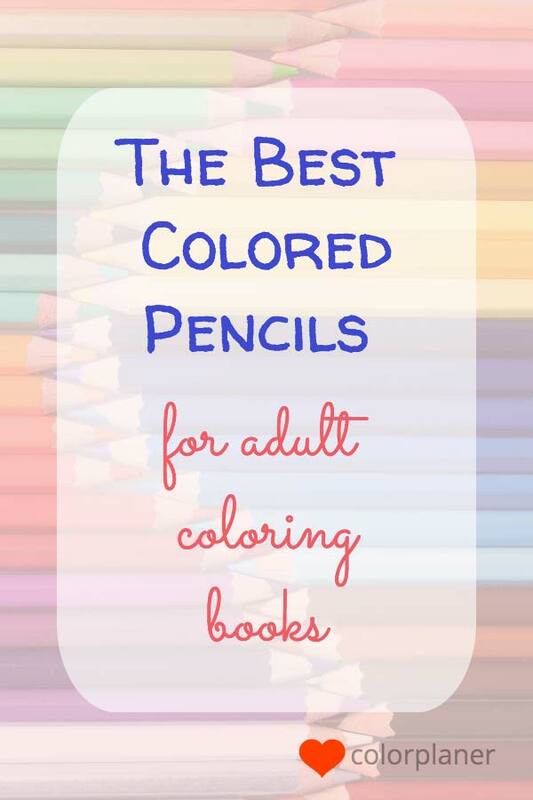 How do you choose the best colored pencils for adult coloring books? Colored-pencil options on the market are many. This makes it a daunting task to choose one that will suit your needs. The best colored pencils have high-quality pigments and barrels, a good weight for holding, don’t break easily, have centered cores that aren’t loose, and are lightfast. Colored pencils come in three main types: wax-based, oil-based, and water-soluble. There’s no particular best material; each has its own qualities. Many colorists enjoy mixing types of pencils, as well as combining pencils with other art materials. Several things will influence your choice, such as size, shape, available colors, price, and your method of application. Methods of application means whether you’re using pencils wet or dry, in combination with other art materials or not, how you handle a pencil, how you sharpen, how hard you press, whether you’re working in fine detail or covering large areas, and, of course, the paper you use. 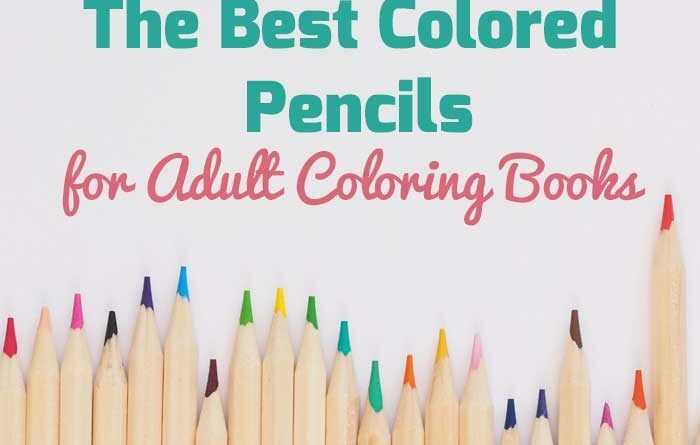 Here is a list of our top-rated colored pencils for adult coloring books to make your search easier. These products boast of exceptional quality on all fronts. These are not listed in any particular order. Faber-Castell Polychromos have bonded leads to prevent breakage. The cores are oil-based and acid-free, smudge-proof, and water-resistant. There are a total of 120 colors; they can be purchased individually or in sets, some in a tin case such as the one pictured. With their range of high quality, extremely lightfast colors, this brand makes one heck of a colored pencil. Featuring soft, rich 3.8mm, oil-based leads, Polychromos Colored Pencils are of the highest professional quality colored pencils, lightfast and break-resistant. They are great for shading and blending. The Polychromos pencils have a relatively hard lead, harder than Prismacolors. For this reason, they last a lot longer. The tips do not break easily. The popular Prismacolor Premier Colored Pencils Soft Core have creamy wax cores. These soft, thick leads are perfect for shading and shadows and are useful to artists for blending and layering. The thick, robust leads resist cracking and chipping, making them perfect for adult coloring books. They are rich in saturated pigment, laying ultra-smooth lines of intense color. These Prismacolors are the some of the best coloring pencils for artists of all levels. These are professional artist-level pencils. If you perfect your pressure control and sharpening technique of these pencils, then you are set to go. Another nice quality is that you can keep the bits of core that come off as you sharpen and wet them down with a brush and solvent to create a wash.
For all those who rave about them, though, there are some who complain about leads not being centered, causing breakage, especially since some manufacturing changes. But for now, these are still a highly popular brand. Those who like intense colors love these high-quality Derwent Inkstense watercolor pencils. They are pencils that let you do more—you can draw, paint, and paint on surfaces from paper to fabric. The permanent inks–yes, inks–in these colors will stay on fabric. These pencils allow you to get lots of effects, from light washes to saturated hues, and they are highly blendable. Inktense pencils come in a range of jewel-like colors, with a blue barrel with color end tab for easy identification. They stay translucent, and are perfect for bold, expressive drawings or coloring pages. Their 8mm barrel is round, and they have a wide core of 4mm. It’s totally up to you if you want to add water or not. Inktense is not for those who want a softer look; you may want to combine them with softer pencils. These are great for those new to painting with watercolor, and those who want to layer dry pencil over a watercolor layer. Though the company says the ink is permanent and will not lift when rewetted; in actual use this varies depending what surface you’re using them on. Most Inktense pencils score from 5 to 8 on the standard Blue Wool Scale with the majority being 8, which is the highest. Caran D’ache Supracolor colored pencils are watercolor pencils, also called aquarelles, meaning you can mix them with water as well as use them as regular colored pencils. (The best way is to use them to make watercolors, then use a brush to paint). They are soft and blendable in both wet and dry form. When used in wet or dry, they still offer unlimited blending possibilities. Their thick 3.7 mm cores offer exceptional covering power (making them a good value) and excellent lightfastness. They are ideal for covering large surfaces and sharpen to a fine point for crosshatching. Their hexagonal barrels make for an easy grip. They’re made in Switzerland with wood from Forest Council-certified cedar. The pencils are available individually or in sets, with a full listing of the colors in each set located on the item-specification table. The sets come in a sturdy hinge-lid tin. When coloring, you can combine them with Caran d’Ache Pablo Colored Pencils, pastels, and gouache for interesting effects. Using water sparingly works best when using them with coloring books. Man professional colorists who want an archival pencil pick Luminance. Hobbyists are also fans. The Luminance are archival quality, and some feel they are the best colored pencils for adult coloring books. They are made in Switzerland using wood from managed cedar California forests. The company used four synthetic waxes with high-quality pigments to attain a product as lightfast as oil paints. They even tested the lightfastness of the pencils for 3 months in the Arizona desert! Despite having wax cores, the pencils are designed to avoid wax bloom—it would take 6 layers of these to get wax bloom. Luminance colored pencils are harder than Prismacolorss and softer than Polychromos. In fact, you can enhance the lightfastness of the other colored pencils by adding a layer of Luminance on top. Soft and highly blendable, with vibrant colors, Luminance pencils are a joy to use. We hope this has helped you find the perfect set or individual colored pencils for your adult coloring needs. If you’ve got a favorite, we’d love to know in the comments! 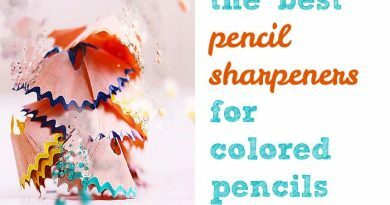 Now for a sharpener… check out our list of best sharpeners for colored pencils!